RIO Products has announced the release of a new DirectCore Jungle Series, designed to be ideal for golden dorado, peacock bass, tigerfish, and bass in hot and humid fishing conditions. IDAHO FALLS, IDAHO (October 1, 2018) – If throwing meaty streamers to distant structures in the heat is the name of the game, RIO’s new DirectCore Jungle Series is the line to have. Ideal for golden dorado, peacock bass, tigerfish, and even bass in hot summer conditions, this freshwater tropical line can do it all. The DirectCore Jungle Series has a powerful front taper and a quick loading head that delivers large flies with exceptional ease and a long rear taper that allows for big mends in moving water. 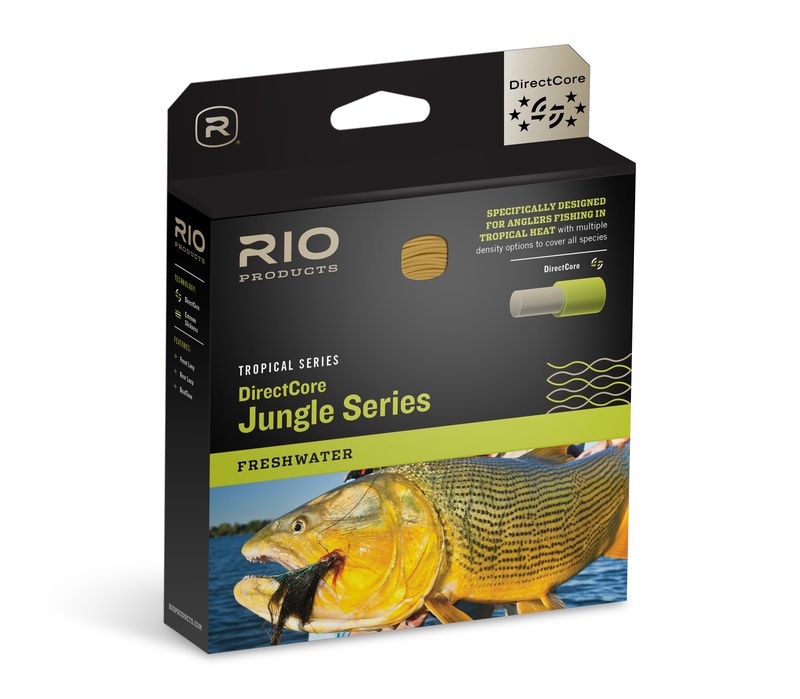 The series is designed to withstand the tropical heat of jungle destinations thanks to a hard, outer coating that is built on RIO’s low-stretch, low-memory DirectCore, which retains the stiffness needed to cast in hot conditions yet lies perfectly straight on the water. A range of density options ensures anglers are covered for all species, conditions, and waters. In this series there is a full floating line, a floating line with a 30ft intermediate sink head, a floating line with a 20ft medium-sinking, type 3 head, and a floating line with a 20ft fast-sinking, type 6 head. The floating and floating/intermediate lines are available in WF7 to WF10 sizes while the F/S3 and F/S6 options are available in WF8 to WF10 sizes. Learn more about this series here or find one at your local RIO retailer for $119.99.